Search for your home using an Advanced Interactive Map. Found 43 blog entries for April 2010. Every year a Tri Cities resident is recognized for their service in the community at the annual Tri-Citian of the Year Banquet. Community members are chosen for this award by exhibiting service above self. This year on April 30 another local resident will be recognized for their service in the Tri Cities. The banquet will take place at the Pasco Red Lion on Friday with a social hour beginning at 6:00p, the dinner begins at 7:00p. The banquet will feature keynote speaker Olie Kolzig. Reserve your table today for the annual Tri-Citian of the Year Awards Banquet by emailing Barb Johnson or calling her at 509.783.2109. Michael Honey, University of Washington humanities professor and author of the book Going Down Jericho Road: The Memphis Strike, King’s Last Campaign, will be speaking at Washington State University Tri Cities this Tuesday, May 27. Honey will be speaking at 7:00pm in the East Building Auditorium about Martin Luther King’s last campaign and unfinished agenda in the Era of Obama. This talk by Honey is a part of the Chancellor’s Lecture Series and is co-sponsored by Battelle. Honey’s lecture is free and open to the public, prior to the lecture there will be a meet-and-greet with Honey. The lecture will be followed by a book signing; books are available for purchase at WSU Tri Cities’ bookstore. Educational Services District 123 in Pasco is putting on a workshop for educators on May 4 from 8:30am to 3:30pm at the ESD 123 building, in the Blue Mountain Room. The workshop is on putting a stop to bullying and building a culture of acceptance in school. Those who attend will learn about what the law says about bullying and harassing as well as resources for support. Attendees will also learn about how to intervene when students are being bullied at school and the role of diversity. The bullying workshop costs $55 and there are six clock hours available; lunch is provided. To register, visit the ESD 123 website. The Bird Hill Community of West Richland Washington is a draw for many people because of the mature landscaping, ease of access to shopping, and because of its open spaces. The community is in close proximity to several shopping locations. Within a couple of miles of Bird Hill, is a Yokes grocery store, with several smaller businesses in the same shopping center. There is also a Wal-Mart, Target, Home Depot, and quite a few other businesses within five miles of the community. 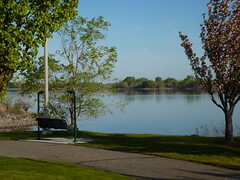 Within the Bird Hill community are several parks with playgrounds, grassy fields, and picnic areas. This Saturday, April 24, at the Benton Franklin Fairgrounds tickets will be on sale for the 2010 Fair and Rodeo; Dancing with the Steers. The fair this year will be August 24th-28th, 2010. Tickets can be from 8:00 am – 12:00 pm, you must be present to get tickets. Tickets for purchase include reserved seats for the demolition derby, rodeo, and concerts; the cost on April 24 will be $10 for these seats. The concerts this year at the fair will include The Beach Boys, Rick Springfield, Ted Nugent, Three Dog Night, and Luke Bryan. All day passes for the carnival will also be on sale for $18, you save $7. For more information contact the fair office at 509.586.9211 ext. 3. Thank you with all or your help in purchasing our first home. We’re so happy with our home and thank you for all you did to help us get here.